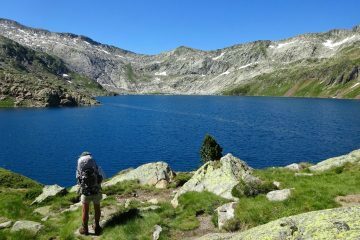 A guided hiking holiday in the Pyrenees is a fabulous way for the fit and adventurous hiker to explore off the beaten tourist path where the hassle and stresses of modern life will simply melt away. 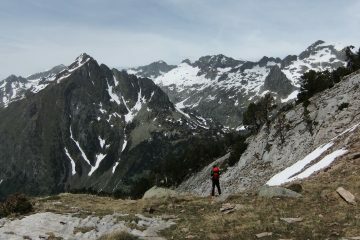 Hiking in the Pyrenees is physically demanding but your efforts are rewarded with the most breathtaking views of an authentic and unspoilt mountain environment. 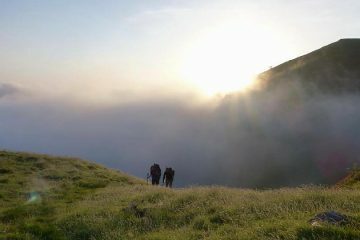 The local guides for our hiking holidays in the Pyrenees know this complex and interesting mountain terrain intimately and take enormous pleasure in sharing their knowledge of its flora and fauna with you. 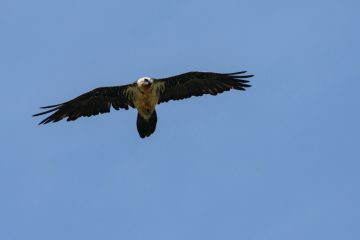 You’ll see fascinating wildlife such as chamois clambering on rocky outcrops, eagles, bearded vultures and other birds of prey in the skies above. The accommodation for our multi day hiking holidays is generally in catered mountain refuges where freshly prepared good home cooking is the order of the day. 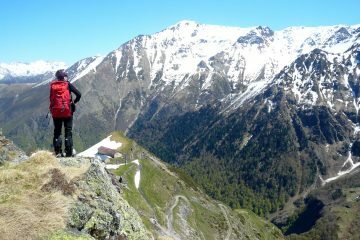 With no phone signal and no internet in the refuges, you’ll get your digital detox on a guided hiking holiday in the French and Spanish Pyrenees!